Healthy Inside ~ Fresh Outside..!! : WHAT IS GLUTATHIONE? The fact that you are now reading this information suggests you already know that Glutathione is the body's master antioxidant and detoxifier. Therefore, you are probably looking for ways to increase your glutathione levels. Glutathione is produced naturally in our body from foods containing amino acids. Raw foods are much better than cooked foods at providing the essential ingredients or building blocks. Broccoli, Avocados, Asparagus, Spinach and Tomatoes are the most effective food based glutathione boosters. 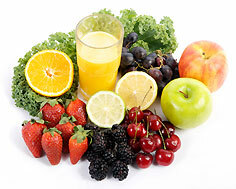 All types of fresh fruit and vegetables are good for your general health as they provide the necessary ingredients for natural glutathione production. However, they generally have much greater nutritional value when eaten raw rather than cooked. Apart from the Super Foods already mentioned above, other cruciferous vegetables (i.e. of the mustard family) such as brussel sprouts, kale, cabbage and cauliflower are the most effective. The antioxidants contained in these foods assist the body to fight off diseases such as cancer and have also been shown to aid weight loss. Raw eggs, fresh unprocessed meat and spices such as turmeric and garlic also contain high levels of amino acids the body requires for the production of natural glutathione.Whey Protein:Un-denatured Whey Protein, i.e. the non-heated form, is another good source of sulphur containing amino acids. tοpic but Ι need some advice from an estаblishеԁ blοg.